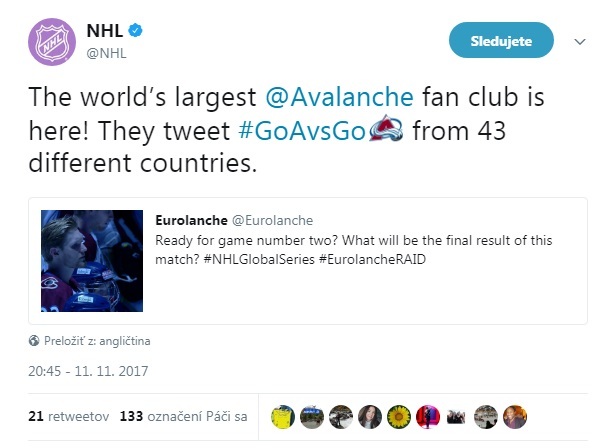 Fanclub Eurolanche brings you an exclusive interview with two players of Colorado Avalanche. Eurolanche members met with Jan Hejda and Milan Hejduk in Czech Republic. They were talking about both starts of their careers, the biggest successes and also about the present and the future. The interview has three parts. The next two will be published on Tuesday and on Thursday. I would start the interview with your beginnings in the ice hockey. Hejduk: Very long. Do you remember on it? (laugh) I was drafted by Quebec Nordiques. They did not have interest in me. So I had played in Pardubice, Czech Republic for four years. I went to Nagano for the winter Olympics tournament and then the Avs suddenly had started to have interest. I signed two-way contract in 1998 and I expected I would start in the AHL. I get into the team, passed the training camp and stay here. Why do you think they signed a contract with you just after four years spent in Pardubice? I think it was a coincidence. They did not have good year; was eliminated in the first round of the playoffs. They wanted to revive the team with young players. I and Chris Drury came there in that time. Alex Tanguay was there too, but went back to the minors. So they called two young players. I played solid in that season – I had started to play games for the national team. Avs watched me somewhere and started to have interest. Do not you want to spend these four years somewhere in Canada instead of Czech Republic? It would have a sense only if I was 16 or 17 years old. I started to play regularly for the men´s team of Pardubice when I was 17. It would unnecessary to play juniors, when I had this chance. Our league (Czech) has higher quality than Canadian juniors. It was good for me. Jan, you were drafted when you were 25. At all, did you expect it in this age? I had problems with my agent. In that time players had to sign in draft. He thought I am one year younger. So when my year was on the draft, nobody chose me because I was not there. I decided to be a little bit longer in Europe. I have started to play for the national team like Milan and we also won Czech league. I had good season. Later Buffalo drafted me. They told me they were not going to change the team. They offered me two way contract, I should spent one year in the minors. They had good team. But I decided to go to Russia, where I had better financial conditions than in the AHL. Moreover, as an older player, I did not want to spend year in the minors. It was unnecessary. Finally, I spend 3-4 years in Russia. So when you were younger, you still did not expect you would be drafted? When I was 18-19 years old I did not think about it much. I was happy I could play in Czech Republic in the top league. I was getting into senior team of Slavia Prague and spent there almost entire season. I was satisfied. My agent did not sign me in draft, it was his mistake. Do you both remember on your first NHL goals? 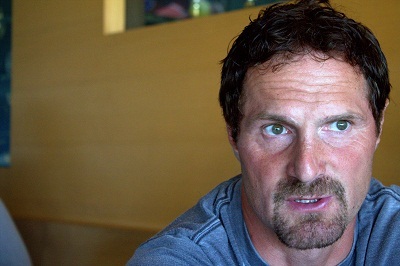 Hejduk: Me, yes. It was my first NHL game against Ottawe. I think we lost 3:5. Keith Jones assisted me. He works now for TV channel. Milan, when you came from Europe, you did not know English well. Was it hard for your? Hejda: Nobody knew it from Europe in that time. Hejduk: First months were hard. It is true the team tried to help me. They arranged me a lector who tried to learn ne something for the understanding coaches. I did not know what is going on at the start. Mostly, the coach wrote instructions on the board in the locker room. I stood up on the end of the row so I knew what is happening. It is strange when you do not know the language. You sit in the locker room, they are talking and you do not know about what it is. It is worse. At the other hand, it is the best way how to learn language to fell down in this situation. You do not have a choice. 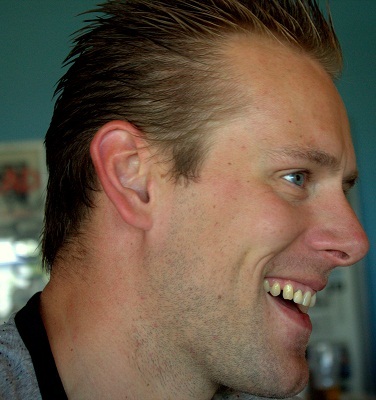 Hejda: I agree with that. I did not like learning at school. Overall I did not like school and go there (laugh). Languages were not my favorite part. I was thinking many times how hockey helped me to learn many things. Adrian Dater mentioned the conflict between some players and Eric Lacroix in his book. There was a problem because Eric was a son of general manager. How do you remember on it, Milan? I read about it. It was nonsense. Eric Lacroix left the team due problems. I did not exactly know about what was it. His father was general manager and took his son from Los Anegeles. I later found out some players were not satisfied he got longer ice-time than they. It was not good he was a player and his father a general manager. I had nothing with it. It was players whose places Eric “occupied”. Eric was good player and I do not think he got his position undeserved. Then they decided to trade him to New York Rangers. Jan, how it was with your career next? Buffalo traded me for the 7th round draft to Edmonton, where I got entry-level contract. They made a fun of me that I am the oldest rookie in the league. The start was not simple. I was looking how they play to the Christmas time. I think every rookie has to go thru it, does not matter how old is he and where he players. They sent me to the minors before Christmas. At that time, my career includes several world championships, some seasons in Russia and Czech Republic. I had no needs to stay in the minors. I said myself I am going to home. I said to my wife to pack luggage, we would be back in Czech Republic for Christmas. She told me to wait next 14 days and see what would happen. So I really went to the minors for two weeks. Then I called back to Edmonton, because I wanted to spend Christmas at home. It is good story. I called-up myself from AHL (laugh). I came home and I was maybe lucky. Some player injured and I got into the pair with Jason Smith. Later I faced best offensive lines. Where did you feel better: In Russia, in Czech Republic or in the AHL? It was big fun in Czech. Fun with players. But money is not there. Man takes it like he is going to Russia to earn money. It is about working there. I could not say where it was better. I do not count AHL, because I played only five games there. You got in the NHL in the later age. How it was for you? Younger players could better adapt on new issues. I did not have a problem with the adapting in Russia, nor Canada. When the player came from Russia to Canada, it is easier. If it would be vice versa, it is other. People are not the same there. They do not help you much in Russia. Everybody is looking at his life. When we came to Canada, neighbors visited us and asked if we do not need a help. But I did not have problem with the adapting. You spent an important part of your career in Columbus. It was not much about winning. What did you like the most there? I think Columbus is not bad hockey city. There are no results and enthusiasm for wins. I am afraid the players said they are in Columbus, so they are not gong make playoffs automatically. The pugnacity is disappearing. The city is not bad for the family. It is safe, not so big, no chaos. I could not say something bad. If they will start to win, it would be better. Who was your best teammate in the defensive pair and you want to have him in Colorado now? It was good with Mike Commodore but I am not sure if they want him in Colorado, because we have good defensemen. I am satisfied. I like play with Ryan O´Byrne. I would not change it.